Avocado Raisin Cookies are a moderately sweet snack in which ripe avocado takes the place of butter, for a very subtle taste. Dark brown sugar gives the major flavour note, while rolled oats and raisins provide a texture contrast. 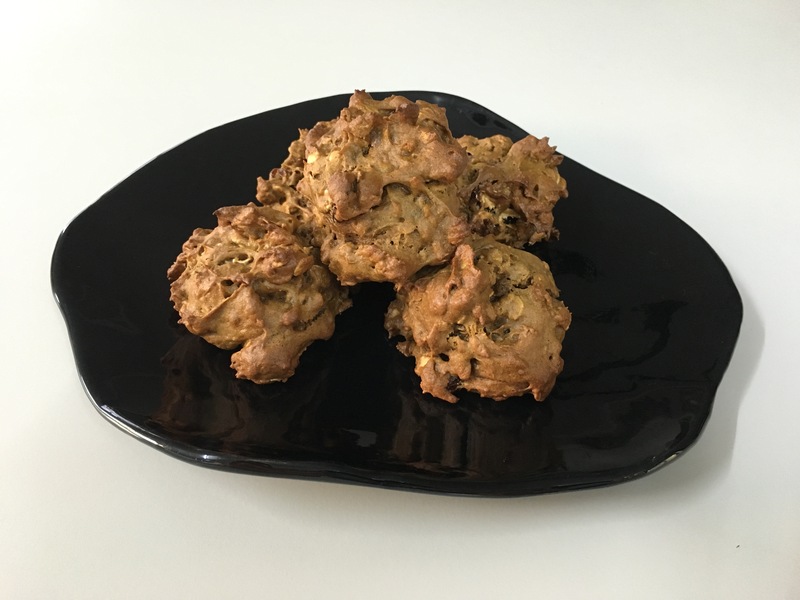 The recipe is naturally dairy-free, and can be made gluten-free by replacing wheat flour with a commercial gluten-free flour mix or a home-made blend as outlined here. Using avocado instead of butter is broadly possible for baked goods in which butter is cold-blended with other ingredients rather than being melted. Apart from providing an option for those allergic to milk products, avocado has a lower total fat content than butter and a higher content of mono-unsaturated fats. It also provides a healthy dose of soluble fibre, which supports the growth of beneficial bacteria in the gut. Pre-heat oven to 180 ºC (fan-forced). In a food processor, blend together avocado and brown sugar until a smooth batter forms. Add eggs and vanilla essence and blend again until smooth. In a large bowl, mix together flour, cardamom, salt, baking powder and baking soda until well blended. Add raisins to the flour mixture and use your fingers to separate any raisins that are stuck together and coat them with flour. Stir rolled oats into flour mixture. Finally, add avocado mixture and mix with a wooden spoon to give a moist batter. Place spoonfuls of batter on a greased, paper-lined baking tray and bake 12 min at 180 ºC or until golden-brown. Let cool for a few minutes before moving to a wire rack. Makes about 30.